Our company is the Leader in Business Immigration into Hungary. We will help you obtain a Residence Permit (leading to citizenship) in Hungary. Hungary joined the European Union in 2004 and it is a part of the Schengen Zone. The capital city of the country is Budapest which has 1.7 million inhabitants, is considered a financial hub in Central Europe. Budapest has been ranked as Europe’s 7th most idyllic place to live due to its beautiful sights and affordable cost of living. In order to obtain a Hungary’s resident permit (RP) that is also recognised in all European Union countries for up to three years the easiest and quickest solution is to set up a company and start a business. 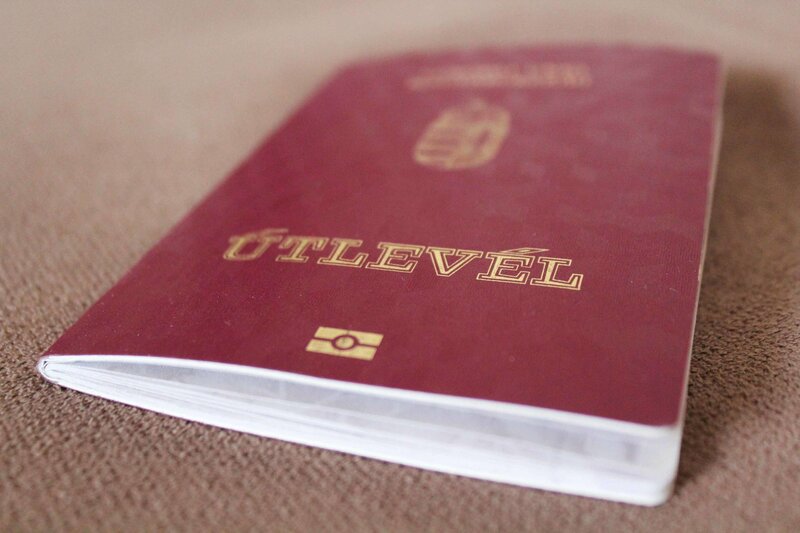 NATIONALITY (Passport) – You have the right for it just after eight years in the Hungary. What is exciting, is that you may obtain the Permanent Residence status (i. e. unconditional right to stay) just after 3-3,5 years after the first settlement with residence permit, making Hungary one of the most attractive countries in EU in this regard. During the application procedure we will form a Hungarian company with you being the director of the company. One time visit to the country is enough to form the company, to open the bank account and to start the business activity. If you cannot travel this first time, we will help you do it in your absence. We help you with the whole process and preparing all the necessary documents for you to apply for the Hungarian resident permit. The first step is setting up a company in Hungary at a public lawyer with creating the article of association. The company can be formed with you personally signing the documents, in this case a tourist VISA (C) is needed to visit the country. Alternatively you may also choose to provide a power of attorney (PoA) and the whole process is covered remotely. You will then sign the required papers at the Hungarian Consulate in the country where you live. The second step is to apply for a tourist VISA (C) and to visit Hungary. This is needed in order to open a bank account as the passport must be shown personally the bank. However it is also helpful for the future resident permit application as the trip serves as a proof that the applicant is truly interested in doing a business in Hungary. If you work with us we will help you with the visa and the account opening. If you have been to this region of the world before you do not really need to come, we will open the account for you. The third step is to apply for a resident permit (VISA D) for long term stay in Hungary at the local Hungarian embassy at your home country. We help you to gather all the documents that are needed for the application process. The process takes 3-5 months. Forming the company takes 1-2 weeks, then after having run your company for over 1- 2 months you may submit your application for the Resident Permit. The approval of application is usually done within 1-2 months by the Ministry of Immigration. The Hungarian Resident Permit can be obtained by a citizen of any country in the word if the application meets the requirements. International passport is necessary for the process. The resident permit can be prolonged multiple times after approval. The members of your family became eligible for resident permits after the successful approval of your application. You may reunite with your wife and children below 18 years with one further application. It is also possible for children above 18 to apply for resident permit with the family if they are studying at a Hungarian University. The company is formed by signing the article of association at a registered lawyer by all founders. The document includes all the necessary information about the company itself, its members, directors and officials, their rights and responsibilities. The signature patterns are also recorded that time. The lawyer submits the article of association electronically to the Registry Court to obtain the company registration number. There are three types of the most common legal entities that can be incorporated in Hungary: limited liability company, joint stock company and sole proprietorship. Limited liability company is suitable for most small and medium size business and can be founded within short period of time. The amount of share capital needed for incorporation is 10 000EUR that can be provided partially by contribution in kind. Depending on the business itself, further licenses might be necessary to perform the activity. A bank account needs to be opened after forming the company. Citizens with any nationality can open a bank account in Hungary, but have to be presented personally at the bank and showing their passport as proof of identity. In order to facilitate electronic administration whenever is possible an online client ID is assigned to the company. This ease and speed up the processes with local authorities where applicable. The company must be registered at various local authorities within certain amount of time after the company is formed. Registration includes the municipality for paying local municipality tax, the Chamber of Industry to pay annual fees, the Central Statistics Office and the National Tax Office to obtain tax number. It is suggested that the applicant for resident permit become one of the employees (director) of the company. The minimum gross salary (400EUR/month) according to law costs 530EUR/month to the employer, the net salary received by the employee is 275EUR/month. ДОБАВИТЬ However, you can engage yourself and your workers on a pat time basis. It is expected that you have at least three local people / EU citizens. Personal income tax rate is 15%, pension contribution is 10%, healthcare contribution is 7% and 1.5% unemployment insurance paid by the employee from gross salary. Social contribution 27% and training contribution 1.5% is paid by the employer. Dividend is taxed at 10%. Treaties ensure that no double taxations occur with on taxable income received from other countries. The corporate tax rate is 10 % of the positive tax base up to 1.6 mEUR and 19 % for the part above that. There are tax allowance possibilities Hungary in case of development activities or sponsoring sport teams or movies. Local self-governments impose a local business tax on business activities a maximum rate of 2%. Property rentals and investment is a rising business in Hungary. The price level of real estate is more affordable in Hungary compared to other European cities. Both long and short term rentals are profitable business activities. The purchased real estate can also serve as the registered office or place of stay for the resident permit application. The purchase of properties is taxed at 4% of the market value. The annual rate of building tax is 3EUR/sqm, max. 3.6% of the market value of the real property which can be accounted for as costs when determining the corporate tax base. Hungary is a member of the European Union, NATO, the OECD, the Visegrád Group, and the Schengen Area. The capital city, Budapest is ranked third on Mastercard’s Emerging Markets Index and the highest ranked Central/Eastern European city on Innovation Cities’ Top 100 index. Inventions by Hungarians are very famous and include safety match(János Irinyi), the first electric motor (Ányos Jedlik), the Ford Model T (József Galamb), the first nuclear reactor (Leo Szilard), Rubik’s cube (Ernő Rubik), the ballpoint pen (László Bíró), Vitamin-C (Albert Szent-Györgyi), the hydrogen bomb (Edward Teller), the binocular (József Petzvál) and digital computing (John von Neumann). Hungary is well known for its spas and thermal baths. The country has more than 1500 spas countrywide, 80 of them are located in Budapest. Budapest has become one of the most liveable cities over the past decade.